Its Trending Now Top eCommerce Platforms. With increasing eCommerce companies there has been a growing demand of customers for convenience. At the same time, companies continue to innovate and provide more customized and sophisticated features to customers. There are many eCommerce platforms available today that businesses are employing for their eCommerce store. Today, we will write down the Top eCommerce Platforms Most Popular – its here! Magento consists of nearly one-fourth of the market’s eCommerce websites. It is known as the market leader when it comes to eCommerce platforms. Widely accepted for its reliability and scalability, Magento is used by many popular brands such as Liverpool F.C., Huawei, Burger King etc. For enterprise level eCommerce stores, it is the best among top eCommerce Platforms. Open source platform which facilitates extensive customization. Over 9000+ plugins/extensions, businesses can take advantage of. Enabled social commerce so businesses can sell on social media platforms. Extensive resource library and online community. Shopify hosts over 300,000 online shops and is primarily focused on social commerce and mobile shopping. It continues to evolve and meet the needs of today’s online eCommerce businesses. Most of the people love to hear its among as a top eCommerce Platforms. Over 100 templates and themes to choose from. 1000+ apps plugins/extensions for additional functionality. Connect online store with the Facebook page and sell directly on Facebook. Built-in mobile-friendly shopping cart and seller mobile app. 24/7 support via live chat, phone, and tutorials as well as the Shopify community forum. PrestaShop is an industry leading eCommerce platform, which is popular among businesses for its functionalities and features. It features much functionality improving plugins and has a growing strong community. Compared to other platforms such as Magento, PrestaShop provides an intuitive admin panel, which is easy to master. It is specifically useful for entrepreneurs just starting its internet venture. The script is based on ‘Smarty’ which makes it one of the easiest platform for designers and programmers to make changes in the graphics and design. PrestaShop comes with multiple inbuilt functionalities, enough for beginners and intermediate online shop owner to set up and runs the business. It is fast and efficient, which does not put high demands on the server side. Launched in 2009, it hosted over 50,000 online stores and is a leading eCommerce software service provider. It comes with an extensive list of built-in features which makes it ideal for customers with little to no technical knowledge. Many popular companies such as Toyota, Martha Stewart etc. employ BigCommerce for their eCommerce stores. Comprehensive built-in features such as newsletters, coupons, shipping, analytics and more. All free and paid themes are responsive and offer a seamless mobile experience. It features store integration with Facebook, eBay, Google shopping and a range of comparison sites. It provides powerful support, educational videos, guides with visual representations. Its slogan says it all – “We Believe in The Artist.” It is the perfect online platform for artists, musicians, designers and entrepreneurs in the creative business. Launched in 2005, it has since helped a million artists sell their creation online. It is one of the most widely eCommerce platforms used by businesses from around the world. Developed by professionals it is one of the most flexible and secure platforms for business. It is one of the veterans in the eCommerce business. It’s multi-language support and secure payment gateways make it one of the most opted platforms too. Highly reliable platform as it is built by professionals and experts in the field of e-commerce. It is designed to fulfill the needs of the end users, not all platforms are designed with customers in mind. It takes only basic programming skills to set up Zen Cart. Developed by WooThemes, it is a free plugin for WordPress. That being said, it is a one of a kind plugin that provides an extensive level of features that makes it unique. Since its inception in 2011, it now supports nearly 1.5 million stores across the globe. This open-source platform provides highly customizable features, and user-friendly experience, which makes it perfect for startups to start their eCommerce venture. It is free and open-source yet it provides an extensive range of out of the box features. It provides huge feature flexibility which professionals can set without knowing too much of the technical side of the eCommerce platform. WooCommerce is more than just an eCommerce platform. It built right alongside a professional website as well as create a blog and other business dimensions. Among all the available shopping carts OpenCart is known as one of the top-end solutions for its flexibility, simplicity, and functionality. Although new, it has managed to garner extreme popularity among both established brands and start-ups. Simple store setup, which even non-technical merchants can also set up. High performance and usability. It is a lightweight solution which uses AJAX to reduce load time and increase store speed. Offers multi-store functionality which enables merchants to manage several stores from one admin panel. Provides an extensive range of features and extension. Built from scratch to integrates with Drupal, it is one of the best in the industry and is tough to beat compared to dedicated platforms such as Magento and Prestashop. When it comes to SEO, it is one of the most opted out platforms. It proves to be both a strong content management system as well as an eCommerce platform. Drupal Commerce integrates into Drupal at the deepest level, hence it takes advantage of all the power and functionality of Drupal. There is no need to develop and maintain two separate systems. Highly flexible and configurable management tool. SEO, CRO and web analytics are easier to manage. It is one of the most comprehensive and popular open source shopping cart as among Top eCommerce Platforms. 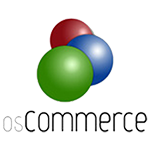 Also called as open source commerce, it offers a wide range of features and versatile shopping cart solution. Setting up an online store is fairly easy and provides both frontend features as well as backend admin tools, which can be easily configured over the web.